Internship in frontend or backend? Kickstart your career at HTML24! Are you the best in your class? Now it’s your chance to work with some of the best in the business! 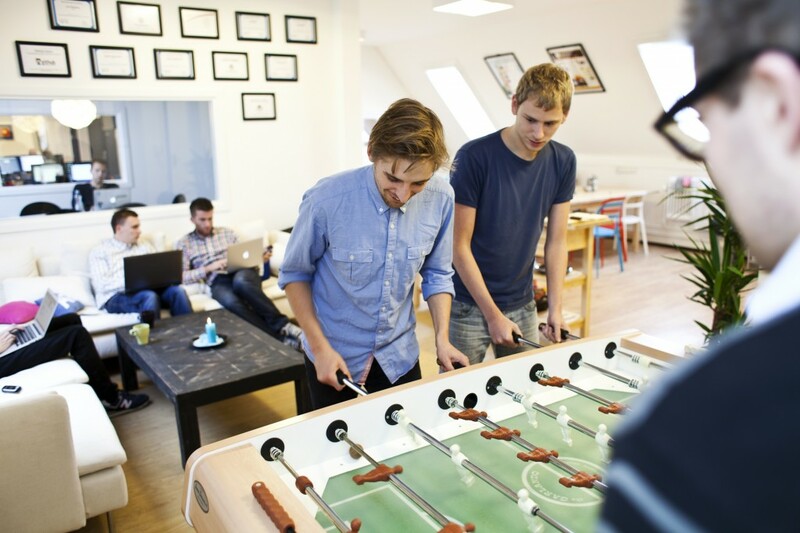 HTML24 is a rapidly growing Danish digital agency located in the heart of Copenhagen. We are always searching for new interns in the software development department, if you have a passion for software development, we can help transform that into a particular skill set. Our primary focus is development of large systems, integration solutions, digitalisation, campaigns and websites. We imagine you are either currently studying or recently graduated from an undergraduate degree or similar in IT, Software, Computers, Electronics, Web or Multimedia. Our regular internship program is unpaid and lasts for 4 months. We have have successfully completed this program with more than 20 interns from a broad selection of schools, business academies, colleges and universities. You will receive feedback and couching throughout the process. Our interns work a full 40 hour work week, on par with all other junior developers. Your opinion will be heard, and we expect you to deliver on your promises. In return you will have time to hone your skills, and get real workplace experience, working on real projects, solving real problems, for real customers. We typically hire two to four interns each year. Some become full time employees in entry level developer positions, others become part time employees, while they continue their studies. Below you will find the practical steps for getting an intern position with us. To be considered for an internship in the development department, you must first complete a small test, there are different tests, depending on which position you are applying for. If you are looking to intern as a Software developer, you must complete our white rabbit test. If you are looking to intern as a CMS developer, you must complete our blue_rabbit test. If you are looking to intern as a Web developer, you must complete our brown rabbit test. The brown rabbit test’s your HTML5 and CSS3 skills, the blue rabbit tests your WordPress / WooCommerce skills, and the white rabbit test’s your abilities in PHP, algorithms, data structures and test driven development. Create a bitbucket user, if you don’t have one already. Fork the test which corresponds to the position you are applying for. You will be summoned for an interview with the head of development and the senior developer who will coach you through your internship, where we will talk about your test.